﻿On April 26, TCA President G. Lincoln McCurdy attended the White House Foreign Correspondents Annual Reception at the National Press Club. TCA President G. Lincoln McCurdy and Leyla McCurdy (right) with Emel Bayrak, the White House Correspondent for TRT, and representatives from the Turkish Embassy (center). 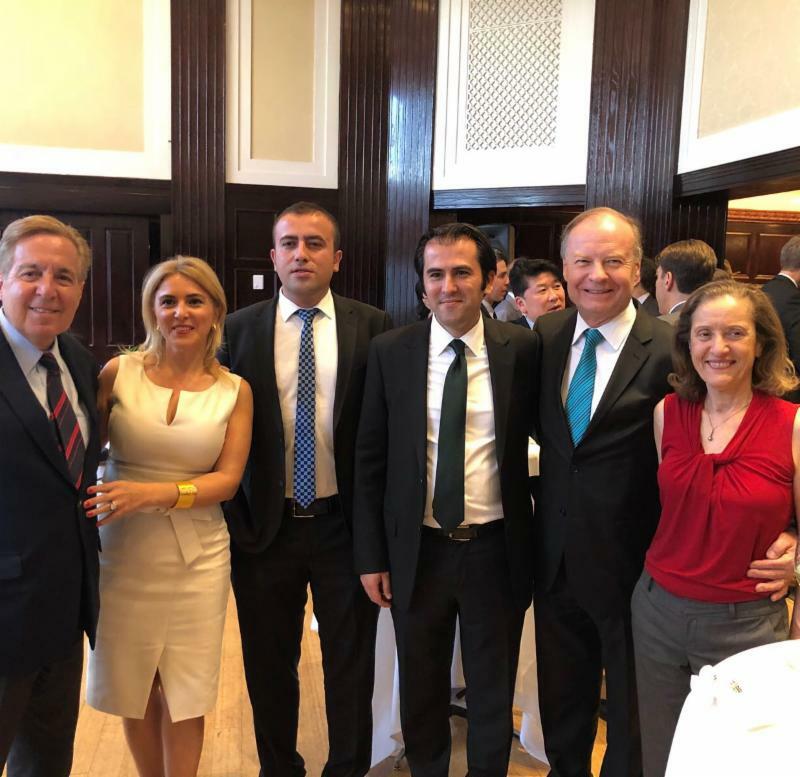 On April 26, TCA hosted a farewell lunch for Ismet Korukoglu, the Turkish Republic of Northern Cyprus (TRNC) Representative in Washington, D.C. Korukoglu will continue to serve as the TRNC Representative in New York. 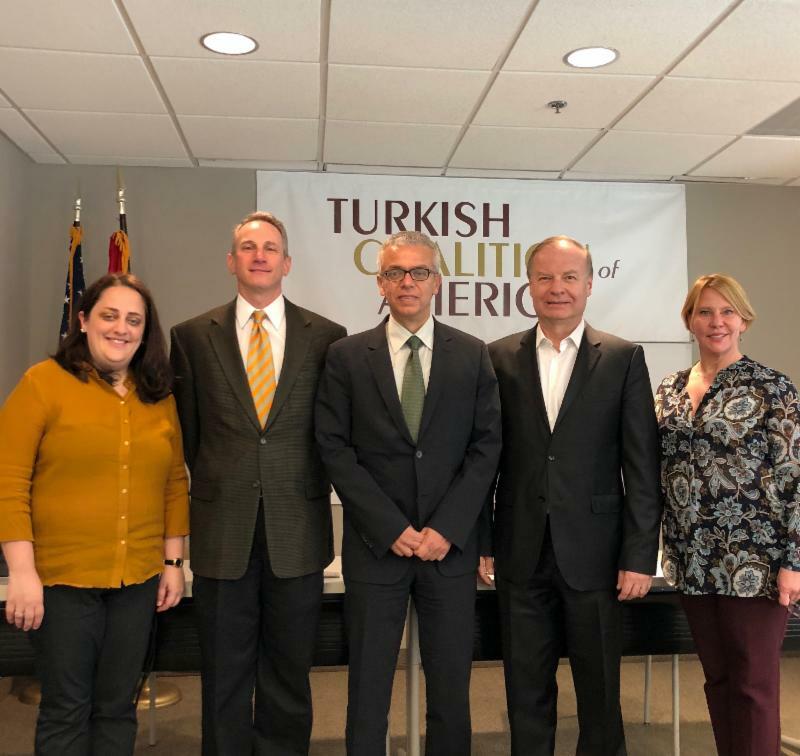 On April 17, Orhan Ulger, the President of the Turkish American Cultural Alliance (TACA) in Chicago visited TCA to discuss TACA's activities for the upcoming year. On April 12 and 26, TCA Director Nilsu Goren attended two breakfast events organized by the Government Relations Association (GRA) with Congressman Ralph Norman (R-SC/5th) and Congressman Bruce Poliquin (R-ME/2nd) in Washington, D.C.
On April 27, TCA President G. Lincoln McCurdy attended the Cook Political Report, a major source of election forecasting, briefing on the 2018 senatorial, congressional and governor races. On April 19, TCA Director Nilsu Goren attended a high-level roundtable discussion with Turkish Deputy Prime Minister Mehmet Simsek, hosted by the U.S. Chamber of Commerce, the Union of Chambers and Commodity Exchanges of Turkey (TOBB), and the Turkish Heritage Organization (THO).